LESBOS, Greece — A medical team worked frantically to revive a small child after a boat carrying migrants capsized off the coast on Wednesday. The doctor’s efforts were in vain. The cries of the bereaved pierced the night. Lesbos is full of volunteers here to help the migrants. 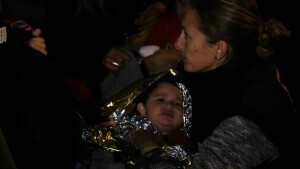 Today, one of the deadliest days, they swaddled young survivors in thermal blankets, trying to ward off hyperthermia. Adult survivors were visibly traumatized. The island’s small ambulance service was swamped, and under equipped to deal with such a disaster. In the darkness, amid the chaos, Greek doctors, and foreign colleagues from international aid agencies did what they could in the triage area on the flagstones. These people were running away from war and conflict, and they took a wooden boat, because they thought it was safer than the inflatable craft used during the summer. The people traffickers doubled their prices for a place on boats like this. Hours later, a coastguard cutter headed back out to sea to resume the forlorn task of searching for survivors. The sea was flat calm. The afternoon winds that capsize the boat had died down. A fishing boat that had joined the operation headed for the dock and was surrounded by medics. The crew had pulled at least one survivor from the water. Local fishermen and volunteers attached a line to the decrepit pleasure cruiser. They had to make sure the refugees didn’t panic and capsize the vessel. Fisherman Panayotis Koutsos’ priority was to help rescue the dozens of children on board. 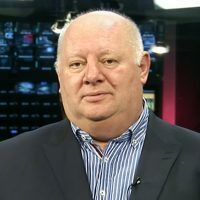 Malcolm Brabant is reporting for the PBS NewsHour on the migrant crisis in Europe. This is a preview of his report on Wednesday’s broadcast.